Welcome to the home of the N.E.C.W.P.C.A. Our next show for 2018 will be our Foal & Youngstock BRONZE Medal Show. To be held at West Park Equestrian Centre on Nov 11th. Schedules will be available for download on our events page. As you all will appreciate; The running of the association, & especially shows, totally relies on the voluntary commitment of our commitee. We would like to invite any members, willing to actively participate in the organisation & running of our association & activities to join our commitee. Please contact a commitee member if you wish to join us. Alternatively, if you would like could assist in the setting up of the shows or helping out on show day (but cannot commit to becoming a member of the commitee) please do not hesitate to contact Gale and put your name forward. Any amount of your precious time, no matter how small, would be greatly appreciated. 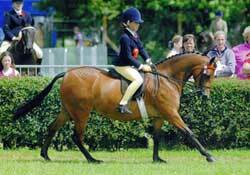 If you are looking for a new pony to spoil, then please visit our classified page. Our new site is currently under development.. Should you experience any difficulties in your enjoyment of any pages, please let me know. This site is best viewed at a resolution of at least 1024 x 768. This site belongs to you, our members. We welcome any ideas from you in the development of this site. Get in touch here, we will gladly consider any thoughts and suggestions you may have. Another request: We are in need of good images to place around the site, in addition to our Gallery page. If you have any copyright-free images you would like to provide, please submit them. 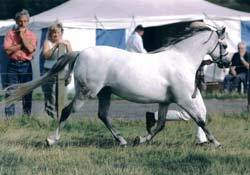 Our association came into being twelve years ago when a group of local enthusiasts wanted to promote the welsh breeds in the local area. We now hold four bronze medal shows every year when we attract entries from as far north as the Borders, as far south as North Yorkshire and as far west as Lancashire and West Yorkshire. To have your link placed here, please contact a member of the commitee. Our schedules include NPS, P(UK) and Rydspence Qualifiers and we also send two of our own Supreme Welsh Champions from our Spring and Summer events to the Inter-Association Champion of Champions Championship run by the North Western Association. Content provided by an responsibility of the N.E.C.W.P.C.A.